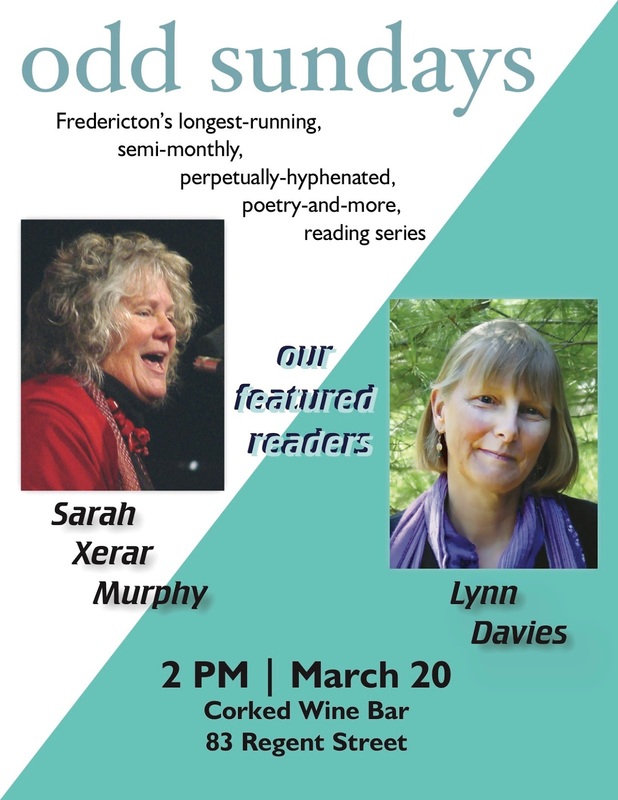 The upcoming Odd Sundays reading will feature two New Brunswick poets who represent very different styles of writing. Lynn Davies (Fredericton) is the author of three books of poetry. 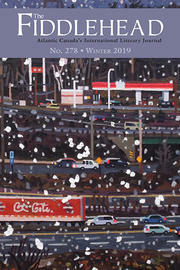 The Bridge That Carries the Road was published by Brick Books and shortlisted for the 1999 Governor General’s Award for Poetry and the 2000 Gerald Lampert Award. Where Sound Pools (2005) and how the gods pour tea (2013) were both published by Goose Lane Editions. Lynn continues to write poems, essays, stories, and reviews, and works part time at Westminster Books in Fredericton. Sarah Xerar Murphy (Chamcook) is an interpreter, translator, community activist, award winning author, performance, visual and spoken word artist. She has published, performed, shown and toured in Mexico, Spain, the United States, United Kingdom, and Canada. She is also the winner of Canada’s Golden Beret Award as well as an Arts Council England International Artist’s Fellowship. One reviewer has said her work contains “. . . all the rush of a subway car on the loose, all the music of a brain scan on acid, all the power of a dive into Niagara” (Bob Holman of Bowery Poets). Odd Sundays takes place at Corked Wine Bar (83 Regent Street) at 2 pm on March 20.